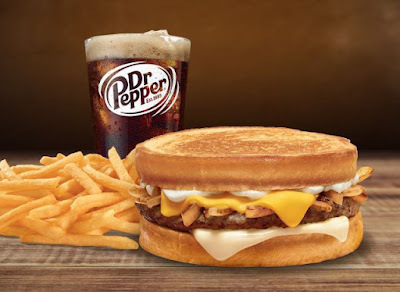 For a limited time, Jack in the Box offers up the new $4.99 Sourdough Patty Melt Combo as their latest value meal. The new Sourdough Patty melt features Swiss and American cheese melted on a grilled beef patty and served with grilled onions on toasted sourdough bread. For the price (may vary), the combo also includes small fries and a fountain drink. You can find the combo meal at participating locations nationwide through late March 2019.